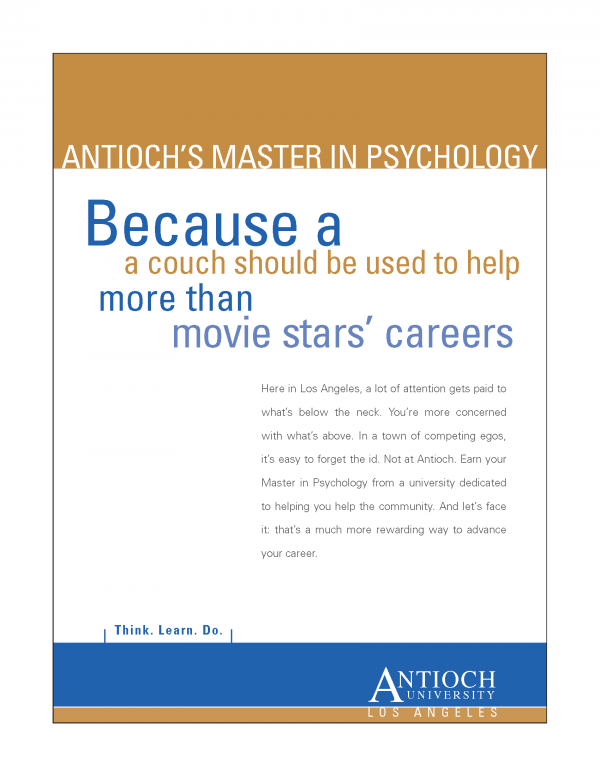 Antioch University in Los Angeles wanted to clearly differentiate its programs from the hordes of competing bachelor-completion and adult-education schools. 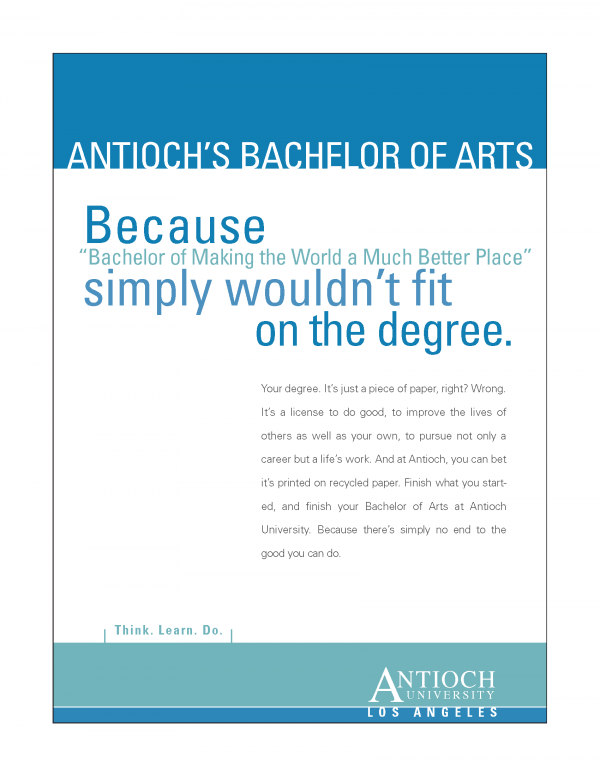 The university asked D Zone to create a bold, headline-driven ad campaign to highlight their individual bachelor and master degree programs, while also communicating the school’s philosophy. 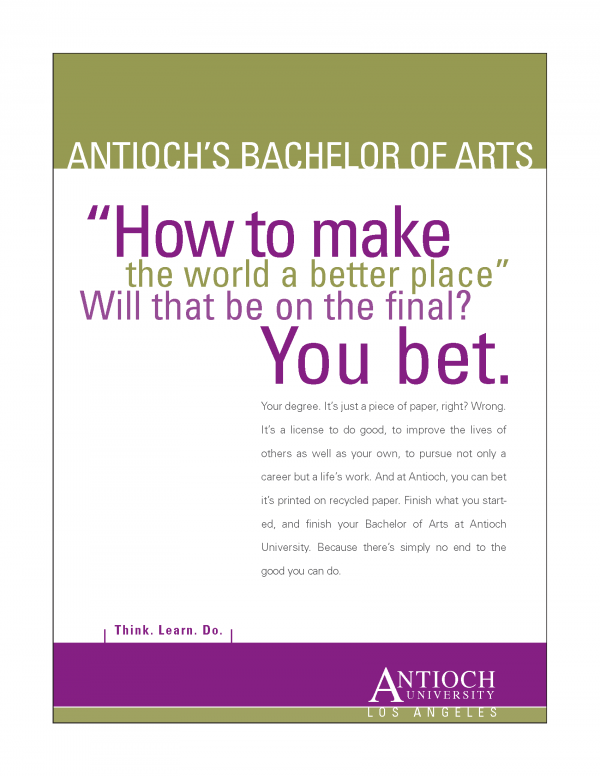 The ads needed to speak to potential students interested in improving the world as well as their careers. 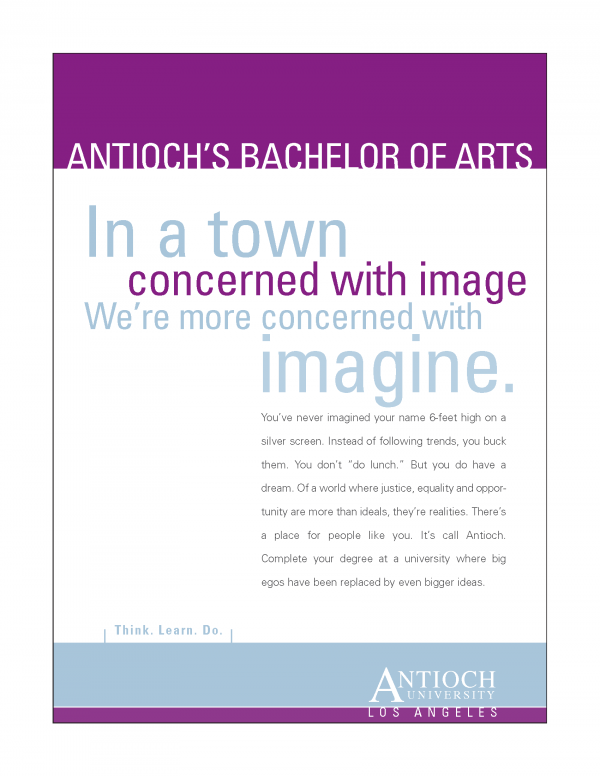 I developed these aggressive headlines to position Antioch as a progressive alternative to less altruistic universities.